Clearing heat, resolving toxin. 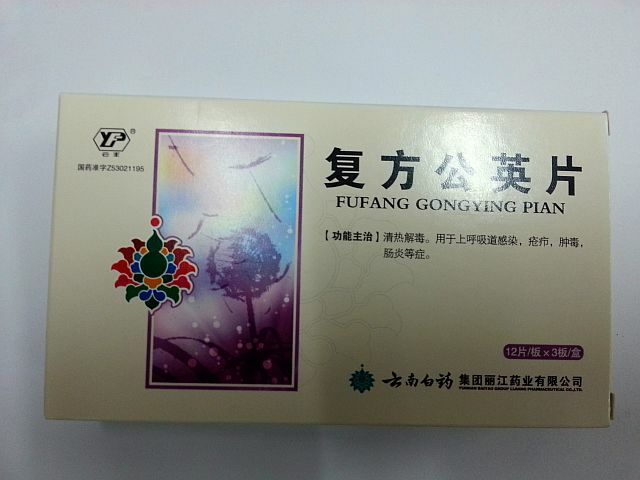 Fufang Gongying Pian is used to treat inflammation of upper respiratory tract. The symptoms are fever, slight aversion to wind, presence of sweat, thirst, turbid nasal discharge, swollen and painful throat, spitting yellow phlegm. 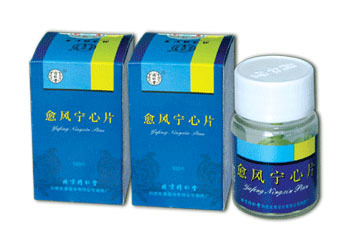 Precaution: People with hypertension, heart problems, liver problem, diabetes, kidney problems, children, pregnant women, old people should be cautious to take Fufang Gongying Pian.